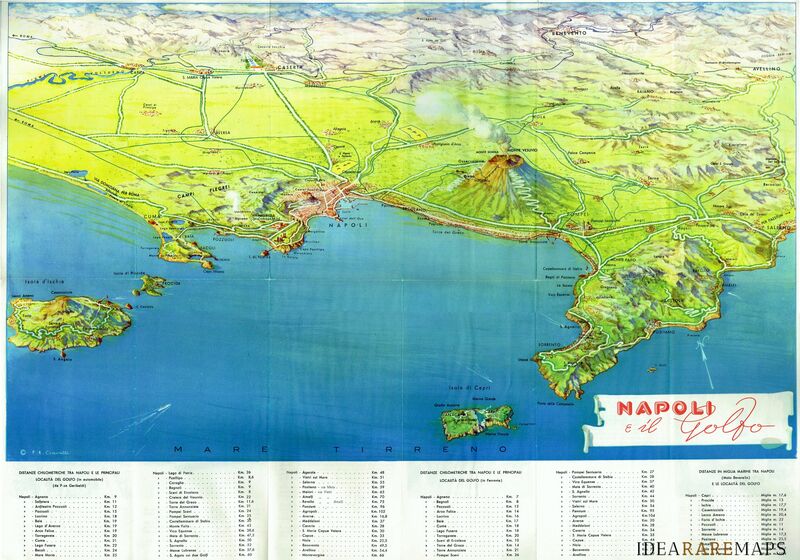 A beautiful bird’s eye view of Naples and its Gulf with Ischia, Capri, Procida in the foreground and mount Vesuvius smoking. 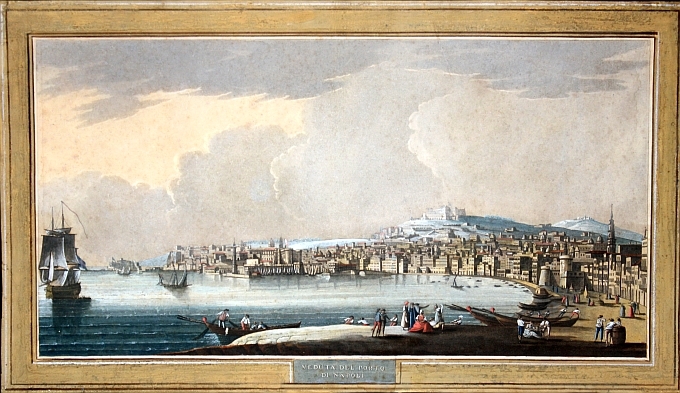 The striking colorfull view, drawn by F.E. 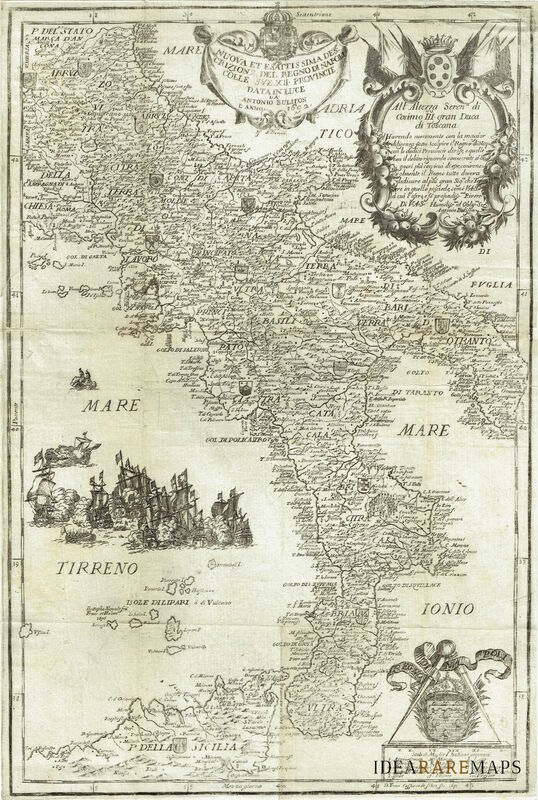 Ciavatti, extend from Cuma to Salerno with in the background Benevento and Avellino. 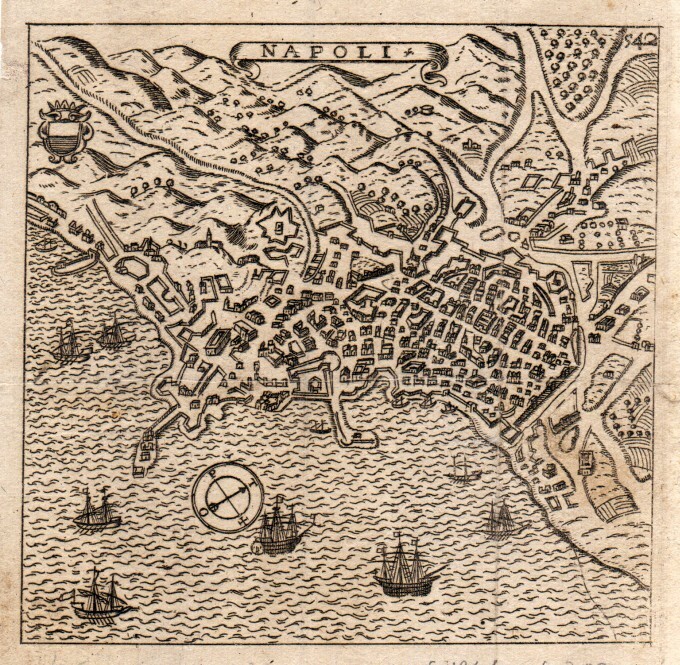 Below legenda listing the distance from the various places to Naples. 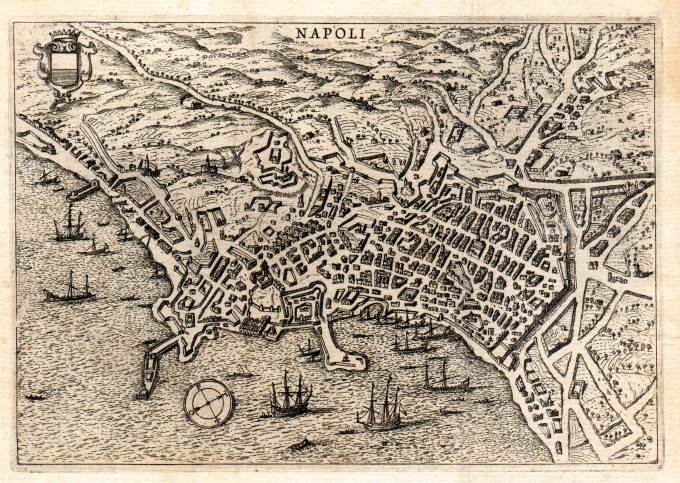 Uncommon copper engraved prospect view of Naples from Nova et Accurata Italiae Hoderniae Descriptio by Jodocus Hondius published in only one edition in Leiden by Bonaventura and A. Elsevir press in 1627. 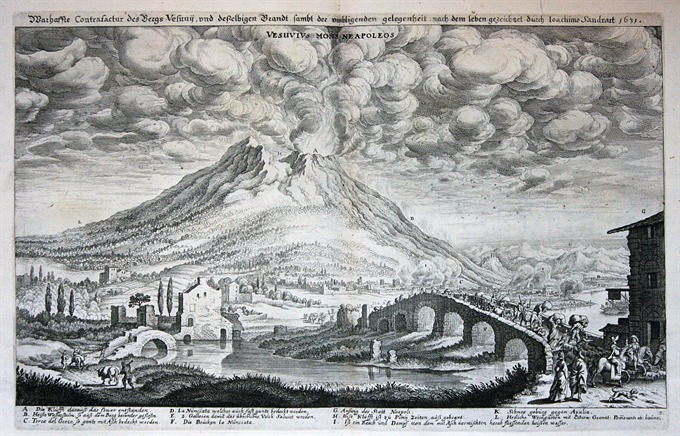 Jodocus Hondius the Elder (1563-1612), or Joost de Hondt, was one of the most prominent geographers and engravers of his time. 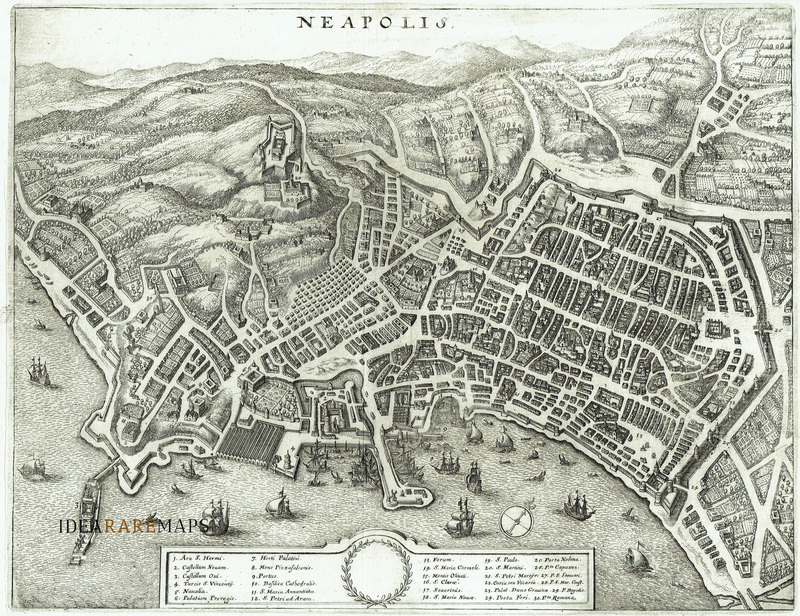 His work did much to establish Amsterdam as the center of cartographic publishing in the seventeenth century. 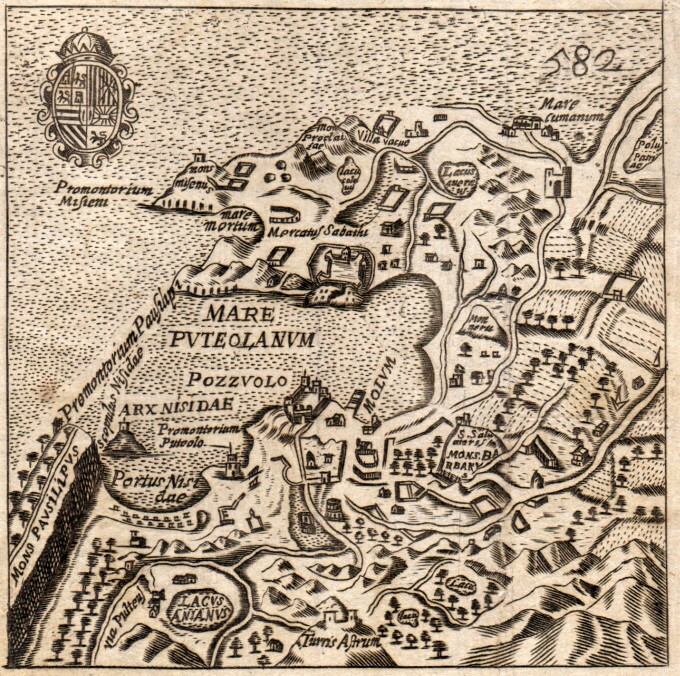 Born in Wakken but raised in Ghent, the young Jodocus worked as an engraver, instrument maker, and globe maker. 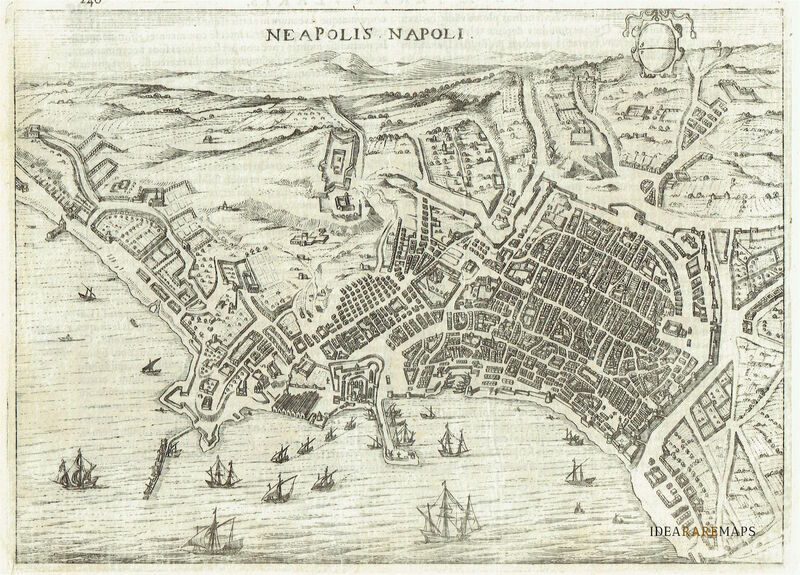 A beautiful map of the Kingdom of Naples decorated with elaborate cartouches for the title and dedication to Cosimo III Duke of Tuscany. 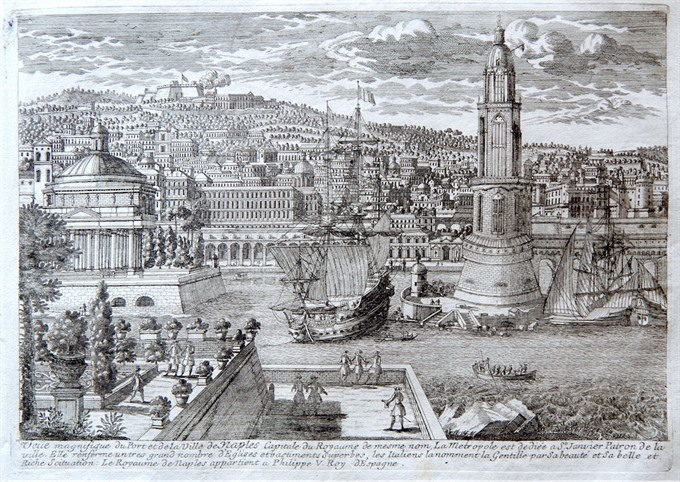 Engraved with great care by Francesco Cassiano da Silva (signed at bottom righto a destra D. Fran. Cassiano de Silva fec. 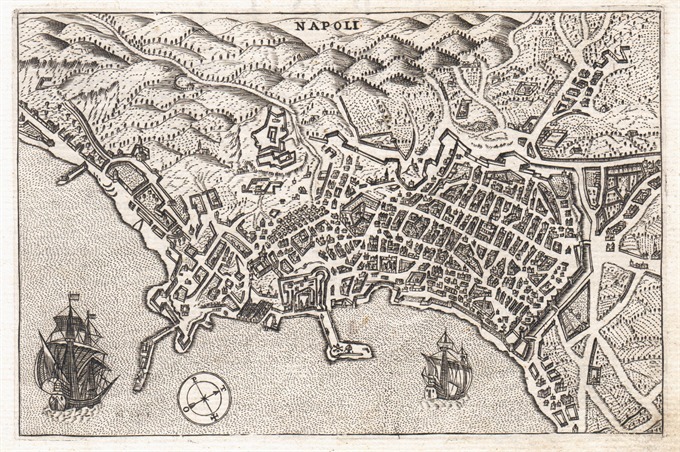 1691) for the “Accuratissima e nuova delineazione del Regno di Napoli con le sue provincie distinte…” published in Naples in 1692. 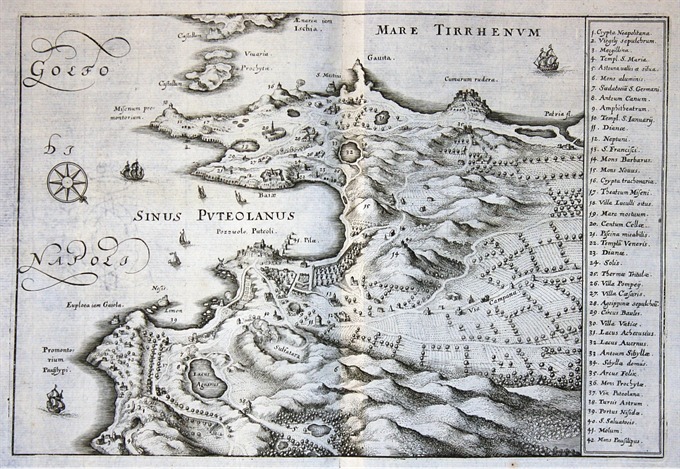 The uncommon and very interesting map is embellished by galleons in the sea and by compass above the scale mileage.